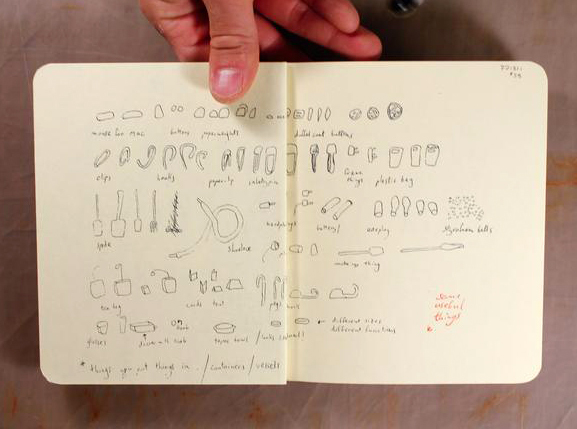 Published jointly between Coracle Press and the Butler Gallery in Kilkenny Ireland, Notional looks and reads like Katie Holten’s sketchbook. 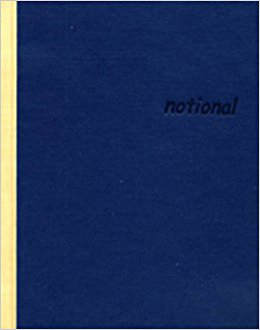 Printed in blue ink on thick gray pages, the notes, drawings, diagrams, instructions, lists, occasional poems, definitions, and musings are accompanied by yellow post-it notes pasted right onto the page. The Butler Gallery described her work as "that of both dreamer and doer. Her proliferating drawings, which oscillate between crudeness and delicacy, the slapdash and the finely honed, resemble quasi-scientific schemata. They are graphic reminders of the purposeless, focus-free exhilaration of the act of imagining for its own sake. Her works recall the childhood pleasures of mapping out imaginary territories, of dreaming up impossible schemes, of escaping, however briefly, into a world of delicious fantasy." This book distills that fantasy. Dimensions: 17 x 14 cm.